Due to the path of Hurricane Irma, the island is currently in a very bad shape, both our boats are destroyed and we are currently not able to know when we will be able to operate again. As electricity, phone and internet are not working on the island, please accept our apologies but we are not able to answer any email or phone call for the time being. If you have booked and prepaid for your booking, no worries, you will get a full refund as soon as we are able to use our credit card machine, even if we cannot do it now, it will come as soon as we can. 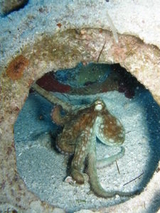 We are St. Maarten / St. Martin's longest established PADI 5 STAR Dive Resort. 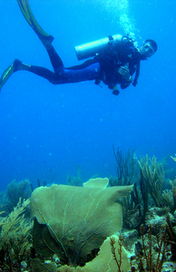 Whether trying scuba diving for the first time, planning certified scuba dives during your stay, or reaching the next level of PADI Diver Certification, our experienced staff will be delighted to show you the wonders of the Caribbean Sea just off the shores of our beautiful island of St. Maarten/St. Martin. We are located in the capital of Philipsburg, in Great Bay Marina, Dock Maarten. We are a 10 min walk from the Cruise Ships, or a short drive from anywhere else. Our boats are just steps from the dive shop, with plenty of shade and complimentary drinks on board both of our custom dive boats. We have moorings at every location, tag lines and decent lines for your convenience and are guided by Certified PADI Dive Professionals! A 15 min boat ride to the Nature Reserve - The Man of War Shoal Marine Park. 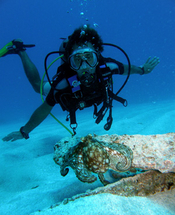 The best diving on the island! Visiting St. Maarten / St. Martin by boat? Why not rent your scuba diving gear from our Philipsburg PADI 5 Star Dive Resort and pick up some tips on the best scuba diving sites around the island, when to go and what marine life you can expect to see during your scuba dives in the warm waters around our island. 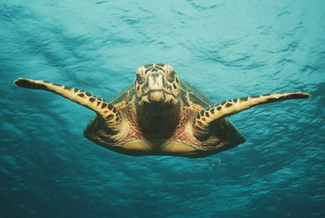 In 1997, we were delighted to announce the creation of THE MAN OF WAR SHOAL MARINE PARK. Congratulations to all the staff and supporters of Nature Foundation St Maarten on this pivotal achievement. Sharks have roamed our oceans since the time of the dinosaurs, but without our help, their long reign may be coming to an end. The onset of industrial fishing and the lucrative market for shark fins in China and the Far East have drastically depleted their numbers. Additionally, many sharks depend on shallow coastal environments for part of their life cycles and this makes them particularly vulnerable to the effects of coastal development. They are also the victim of poor public opinion, branded as mindless bloodthirsty monsters, and seen by fishermen as a competitor and pest. The result of this is that the International Union for the Conservation of Nature (IUCN) currently estimates that one-quarter of sharks and rays are threatened with extinction. Marine Protected Areas (parks) have been established throughout the Dutch Caribbean to protect the islands’ marine environment but few of them specifically protect the 25 species of shark found in Dutch Caribbean waters. 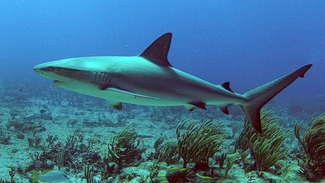 Bonaire was the first island to introduce legislation to protect sharks; in 2010 it adopted a list of protected species, which included all sharks and rays. The ‘Man of War Shoal’ Marine Park on St. Maarten became the first marine park to introduce legislation specifically for shark conservation. In October 2011, the Government of St. Maarten issued a temporary moratorium on shark fishing within the Man of War Shoal Marine Park, which prohibits the taking and landing of sharks and requires immediate release of incidentally caught sharks under penalty of a maximum of 500,000 Antillean Guilders or 3 months in prison. The next landmark event came in October 2015 when Dutch State Secretary, Sharon Dijksma, announced the establishment of the Dutch Caribbean’s first shark sanctuary. Known as the Yarari Marine Mammal and Shark Sanctuary, it encompasses the exclusive economic zones (EEZs) of Bonaire and Saba, including the prestigious Saba Bank, and covers a combined area of 22,382 square kilometers (8,816 square miles). The Yarari Sanctuary was established by a joint Declaration of the State Secretary of Economic Affairs of the Netherlands and the island Governments of Saba and Bonaire in response to official requests in 2015 by the Governors of the two islands to include protection for sharks within the Sanctuary. The Dutch Ministry of Economic Affairs is preparing a Management Plan for the Sanctuary, which will include regulations to prohibit purse seining, gill-netting and long-lining, as well as targeted commercial fishing for sharks and rays, and particularly the removal of fins (shark finning). Management of the Yarari Sanctuary will be carried out in close cooperation with the AGOA Marine Mammal Sanctuary, established in 2012, which includes the French Caribbean waters surrounding Guadeloupe, Martinique, St. Barths and St. Martin. In June 2016 St. Maarten’s Prime Minister announced the inclusion of St. Maarten’s waters in the Sanctuary with a prohibition on all commercial shark fishing. The Government of Curaçao simultaneously announced its commitment to shark conservation and vows to establish legislation to protect sharks in its waters within the year. If the Dutch Caribbean jurisdictions of St. Eustatius and Aruba follow suit, the entire Dutch Caribbean could soon be recognized as a regional shark sanctuary. There are only 14 shark sanctuaries in the world, covering approximately 6 million square miles, with the first Sanctuary established in Palau in the Western Pacific, in 2009. Half of the shark sanctuaries are currently located within the Caribbean, including three in the Dutch Caribbean: Honduras (est. 2011), Bahamas (est. 2011), British Virgin Islands (est. 2014), Bonaire (est. 2015), Saba (est. 2015), Cayman Islands (est. 2016), and St. Maarten (est. 2016). More information on the marine park.